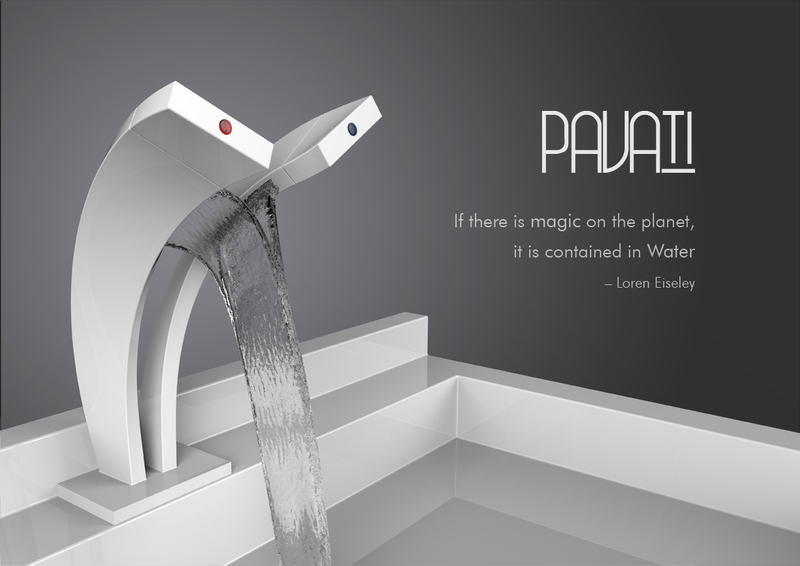 The Pavati tap offers an ultra-modern and minimalist aesthetic. All the components of traditional taps such as the spout and dials are incorporated into the Pavati’s body to create an elegant and uniform shape with nothing distracting from its sculptural form. 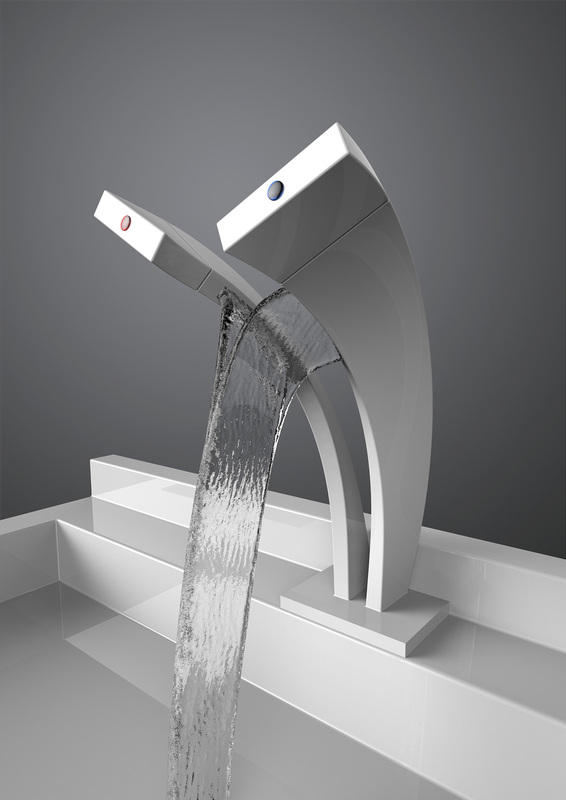 The design was entered into the 2013 Cobra Faucet design competition in which it placed in the top 5. All the components of traditional taps such as the spout and dials were incorporated into the Pavati’s body to create an elegant and uniform shape with nothing distracting from its sculptural form. Its body gently curves over the basin and tapers into a larger profile at the top. These lines lead ones eye towards one of the tap’s most unique features, its ability to subtly mix two streams of water into one. 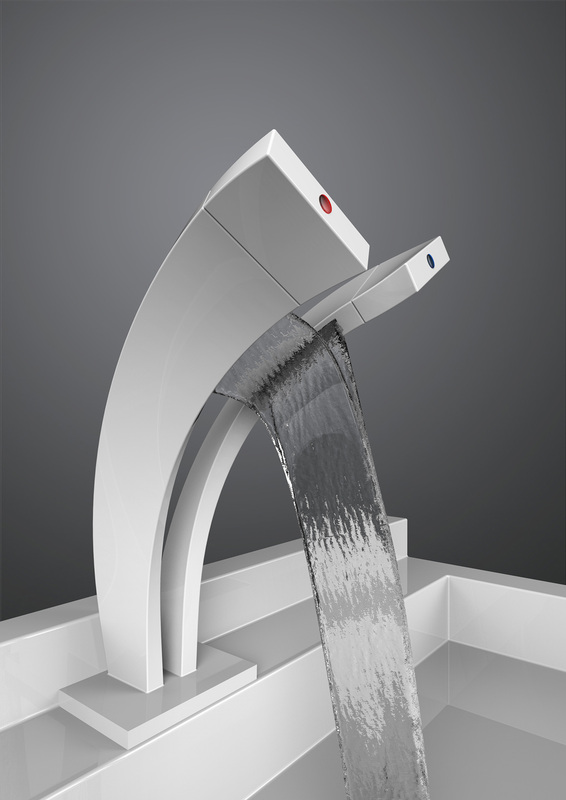 This Y-shaped waterfall effect mixes the cold and hot water streams into a single mutual stream and this mixing is purposefully done outside of the tap, within full view of the user. The dual streams will vary in position and size depending on how the temperature dials are adjusted and thus the dual waterfalls also lend themselves to becoming a visual indicator of the current water temperature. Using standard tap components was a very important factor in the design of the Pavati tap. The tap fits standard basins and uses generic cartridges for regulating the flow of water. When changing the temperature, the rotational force applied to the temperature dials is transferred via a flex shaft to the 180 degree turn cartridges. Due to the use of standard components, the tap installation can easily be achieved with standard tools.